Heathmount School is based in a fine Grade 1 Palladian house in the Hertfordshire countryside. 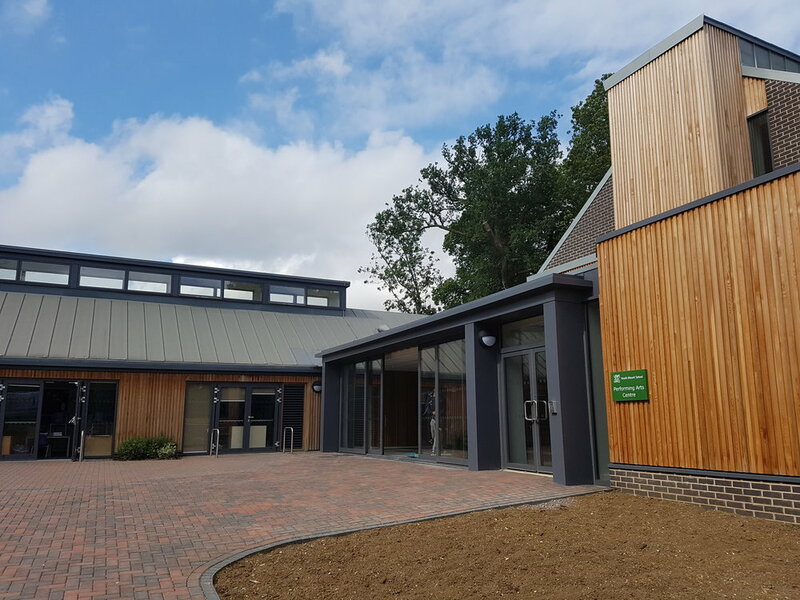 CGA have previously completed an extension to the nursery school, and this scheme for a Performing Arts Centre and Classrooms forms the next stage of the development programme. The school is seeking to rationalise and restore the accommodation in the mansion, and in the process update the main school spaces within the campus in the grounds. 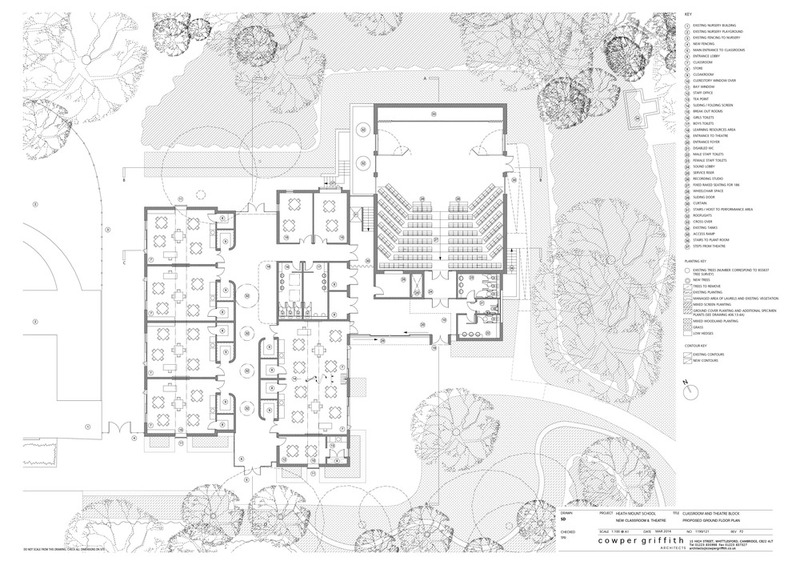 The Performing Arts building is placed on a site next to the nursery school, surrounded by mature trees. The design pairs the classroom buildings either side of a wide central corridor, forming the main entrance at the south end and introducing stores and cloakrooms informally arranged to create a varied ‘street’. The classrooms are top lit by continuous roof lights, turned down the south gable ends. 4 smaller seminar rooms and service areas complete the accommodation. The classroom circulation is connected to the foyer of the new theatre allowing them to function together. Raked seating for 200 is provided with a simple arrangement of ‘Periaktoi’ screens or proscenium curtains to allow flexibility of theatre set arrangements. Externally the building is finished in zinc, with buff brick walls, with the classrooms clad in timber battens, slate and pre-patinated copper details to the entrance facades. The building is currently on site.